I have created two more theme bracelets: Scaredy Cat and Betty Boop a Doop. 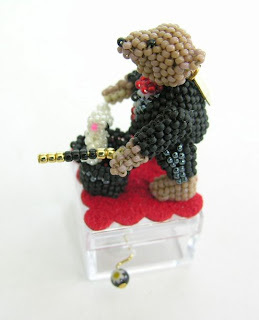 I have also returned to making new designs of my miniature beaded bears. 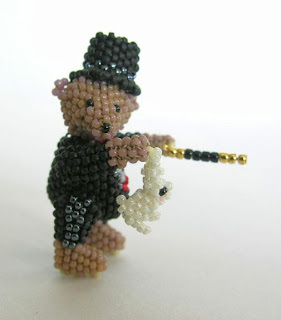 I enjoy doing bead embroidery. 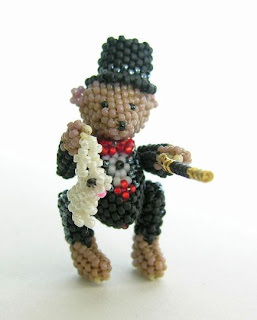 It is fun to collect the objects for the bracelets and use them to create a one of a kind piece. The bracelets are worked on Ultra Suede. 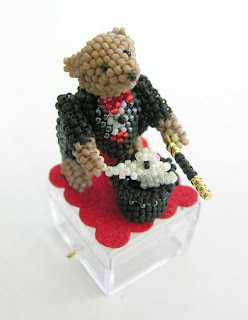 The beads are mostly size 11/0 with some larger 8/0 accent beads. Felicidades!!! es precioso todo lo que haces y muy original. Un saludo y hasta muy pronto! !